CLARK COUNTY — Citing public concern and a need to make sure they get everything right, the Clark County council today made the decision to delay any further action on their proposed Freight Rail Dependent Uses overlay for part of the Chelatchie Prairie rail line until after the first of the year. The move came at the end of Tuesday’s council meeting, as county staff work to finalize what the Planning Commission will be working on the rest of the year. The council had previously planned to meet with the commission this year, but will now delay that until January at the earliest. Council Chair Marc Boldt noted that he will no longer be an elected official next year, after finishing third in the August primary, and that as many as three other council seats could change after the general election. Stewarts opponent, Temple Lentz, has not made a public statement about where she stands on the issue of Freight Rail Development. While the proposed development area is not in District 1, the train cars do come through downtown Vancouver to the port. District Four Councilor Eileen Quiring, who has supported the FRDU Overlay plan, agreed that pressing pause would be prudent for now. Quiring is running for the council chair seat and her opponent, Eric Holt, has been a vocal opponent of industrial development along the rail line. The issue of how to implement Senate Bill 5517, approved in the 2017 legislative session, has been a long process for the county. The bill allows counties that own short line railroads to add a conditional use overlay, to encourage job growth. At the beginning of the year they approved an initial overlay and planning policies, then formed a Freight Rail Dependent Uses Advisory Committee. That group greatly expanded the proposed overlay area, and included possible heavy industrial uses such as asphalt products, chemicals, and even nuclear power. The potential uses and expanded overlay prompted sharp backlash from neighborhood groups and people living in the area. The council has since decided to revert to the original smaller overlay map, and to look into how certain heavy industrial uses could be banned, while allowing for some. The council also wants to look closer at what freight rail development could mean for transportation issues in the area, including increased train cars on the rail line, and truck traffic to and from any businesses that move to the area. 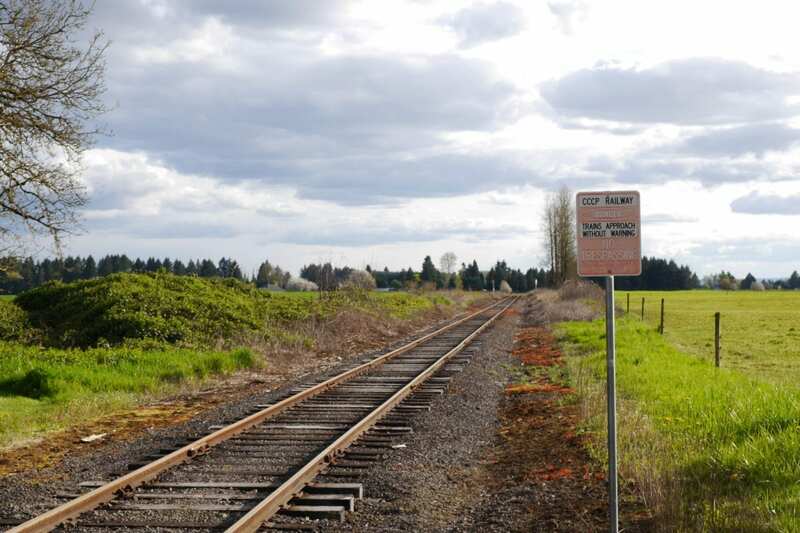 Portland-Vancouver Junction Railroad, which operates the Chelatchie Prairie Line for the county, says it has a long list of potential employers looking to move into the area once a final development plan is approved.